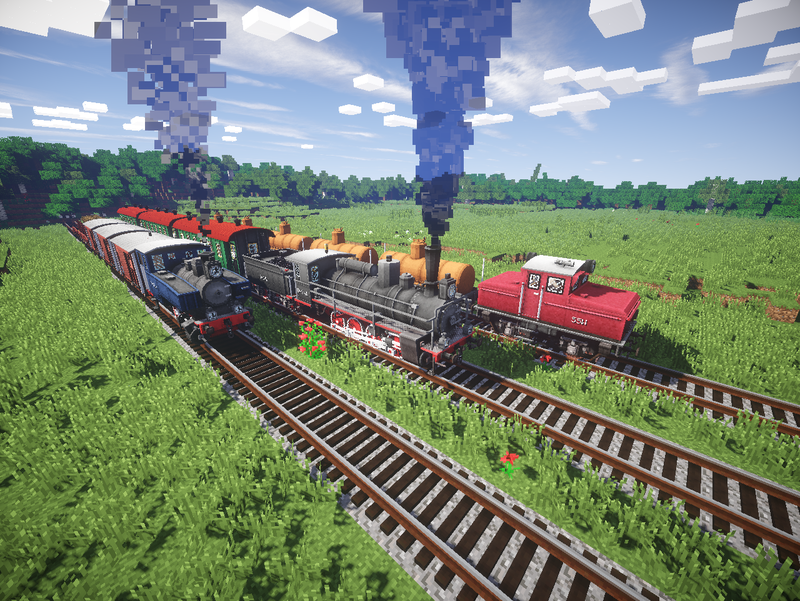 This mod is about wide gauge, big turns, steam locomotives, trains, armoured trains, and other awesome stuff. I don't need modelling and/or artistic and/or idea help at the moment. Currently only programming help with developing the core is acceptable. When the core is done, I will announce that and start adding rolling stock you make/propose. Please, don't spam me or this thread with modelling/art help or RS suggestions until that moment. Follow the official Twitter to keep abreast or join our Discord to converse with other fans and creators themselves! There's also and official railsofwar.net website! If you encounter a bug or an issue, take a look at our Bitbucket issue tracker. Also take a look at RoWAM if you want some more automation features for RoW trains. We also have an IRC channel #railowar at EsperNet. Currently, no recipes are present. They would be added after machinery and proper interactions are implemented. All items are available in «Rails of War» creative inventory tab. To place different types of track you need a solid base underneath. Thus straight track takes 3w*1d blocks, dead end takes 3w*2d blocks, crossings takes 3w*3d blocks, and other have specific form that can be seen above. Switches allows your trains to be guided from one track to another. To control them, the pointer lever is used; place it aside the switch. If you have placed it in a right position, you'll see that it rotates the arrow/light when you click it. 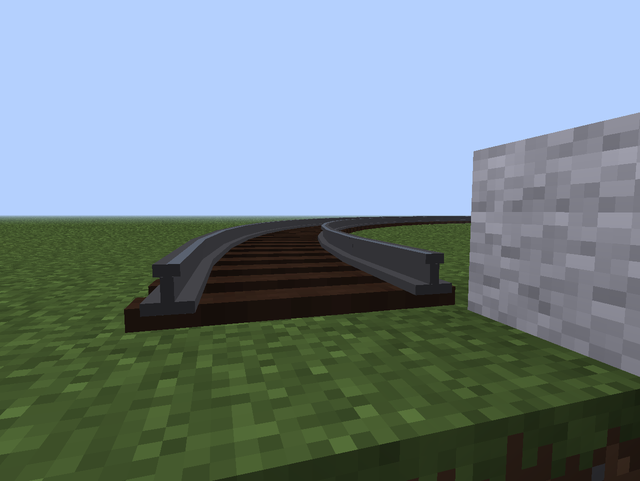 After building the railway use a specific item to place rolling stock. To fuel a locomotive, right-click it with coal, then you can climb up and control the loco by pressing R/F/V to increase/decrease/zero the reverse. B toggles the brakes, L toggles the headlight if you have enabled it in the config (.minecraft/config/row.cfg). You can only delete stock when in creative, sneak and left-click it. To couple carts, a tool named ‘Prybar’ is used. Left-click on a cart to start/stop creating/eliminating a link, and right-click anywhere to reset. When making trains, note that every cart has two couplers (front and rear) and it matters where you click (which coupler do you select). The distance between selected couplers matters too, they should be closer than 2m to each other. Lamp posts are activated by redstone signal. Wall lamps are always turned on. Now, have fun and wait for further updates! Older downloads can be found in this dropbox. By downloading the mod you accept the license given below. • This Modification is sole property of the Owner. • By default it the Modification only be distributed by the Owner. It only be mirrored or reposted with crediting the source and authors. • Any attempts to make profits out of the Modification are strictly forbidden. • You may NOT decompile/recompile or make any changes to the Modification with any intent. Install proper Minecraft Forge version, put the mod *.jar file into /mods folder in your Minecraft directory. I express my gratitude to all people who are or were helping me to develop the mod. This also relates to appreciative audience, which gave me moral forces to go on. Русскоязычные пользователи могут посетить тему на официальном русском сообществе Minecraft. There's also a page on PMC. PM me If you would want me to help :). Okay, i don't mind you helping me in this mod. Yes, the mod will be about XIX century and there will be mostly steam locomotives. Rails gauge is 10px, loco width from 16 to 42px. Sorry, but i don't need testers now. Hey guys, i've said, i DON'T need testers. Modeler will be much better. First russian locomotive made by Cherepanov bros.
Yay, first locomotive put in game successfully. These look pretty cool. I hope you make much more content. I like the wideness of the rails. Deleting whole track piece by one click. Laying is by one click too. I think of making breitspurbahn after i finish standard gauge. I'm about to make rails 3d. Sleepers are just fine. 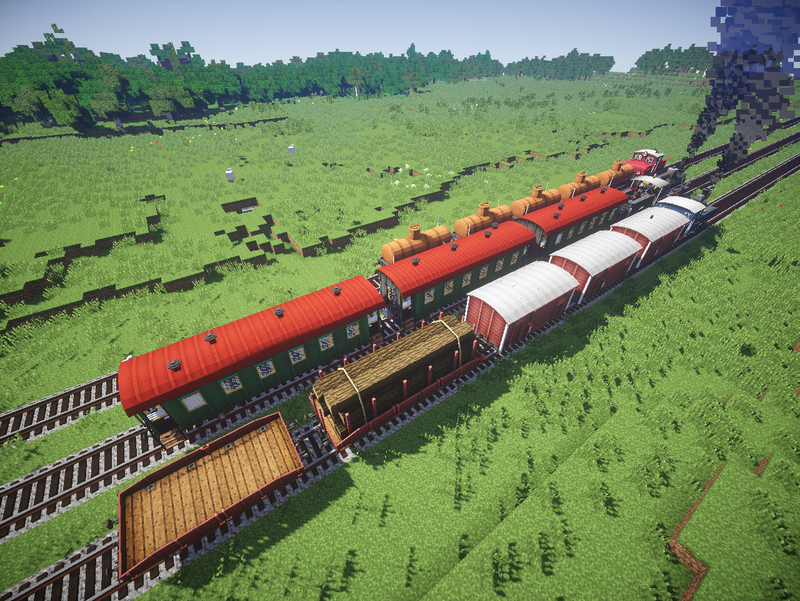 Finally there will be another train mod besides train craft. I think, this way is much better. This looks utterly amazing. Will there be compatibility with cart mods like Railcraft and Steve's Carts? That is my sole concern. You are doing a fantastic job sir.